bgracesandiego | An ongoing guide to spoiling your Bride to Be! An ongoing guide to spoiling your Bride to Be! We’re having a total bridal moment over these Mr. and Mrs. 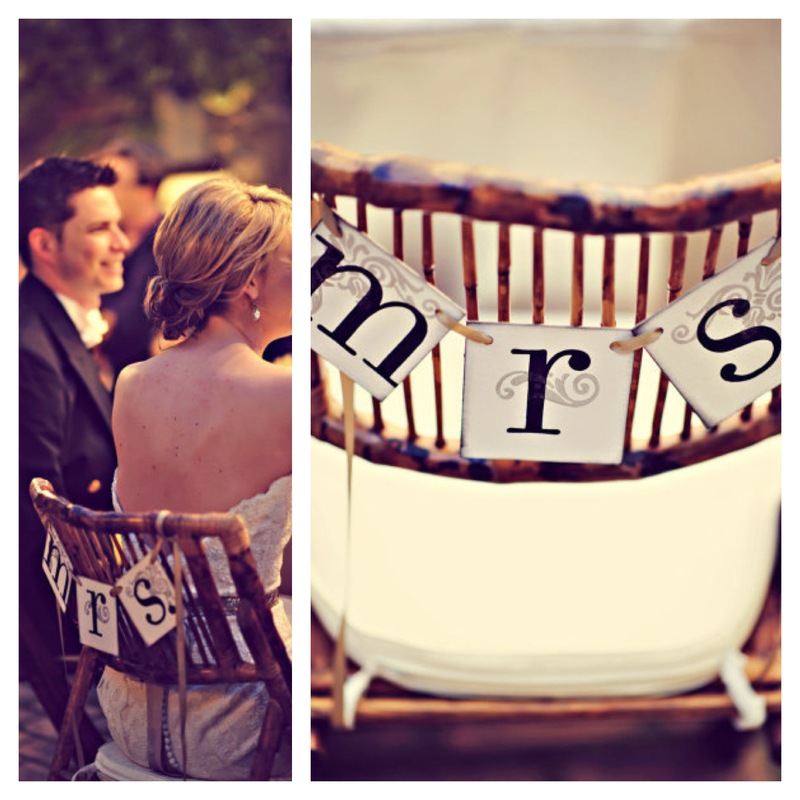 Chair Signs. (We’re having quite a few of these right now but you can’t blame us, bgracesandiego is getting married this fall!) These are the perfect little touch to add some color and some sweet wifey celebration to your sweetheart table or head table at the reception. 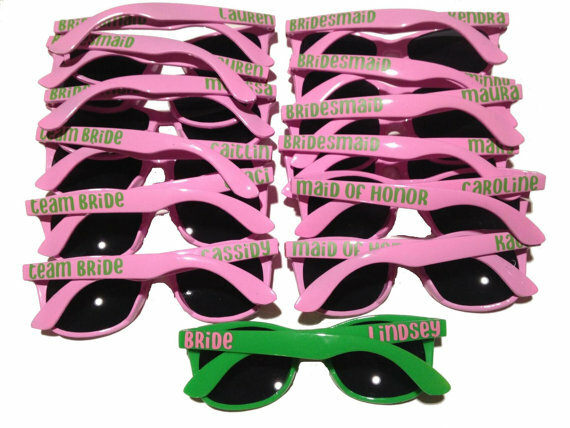 They come in almost any color to coordinate with your theme and are priced right – $12 to rule your Pinterest board?! Well. Worth. It. We’re having a total Bridal Moment over these “Suit and Tie” wedding invitations and RSVP cards by Champagne Press on Etsy.com. 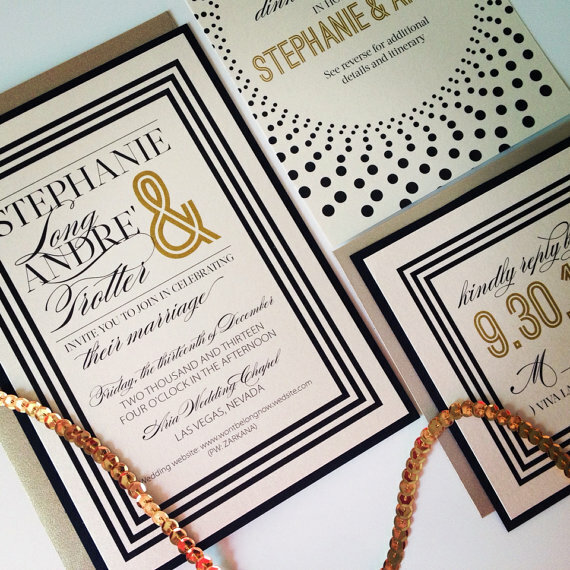 These trendy yet classic invitations give you a piece of originality and personality with creative RSVP responses while providing the classic and traditional touch that so many brides are looking for. They’re the perfect balance! Celebrating your Bachelorette on the sand?! Don’t just lay there looking like boring bachelorettes. 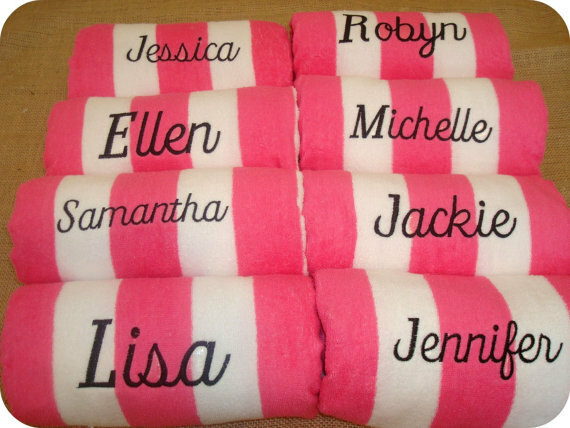 Spice it up with Personalized Beach Towels from huebyjennyhouston on etsy.com! These personalized beach towels will make for super cute photos and a sweet reusable keepsake of the weekend! 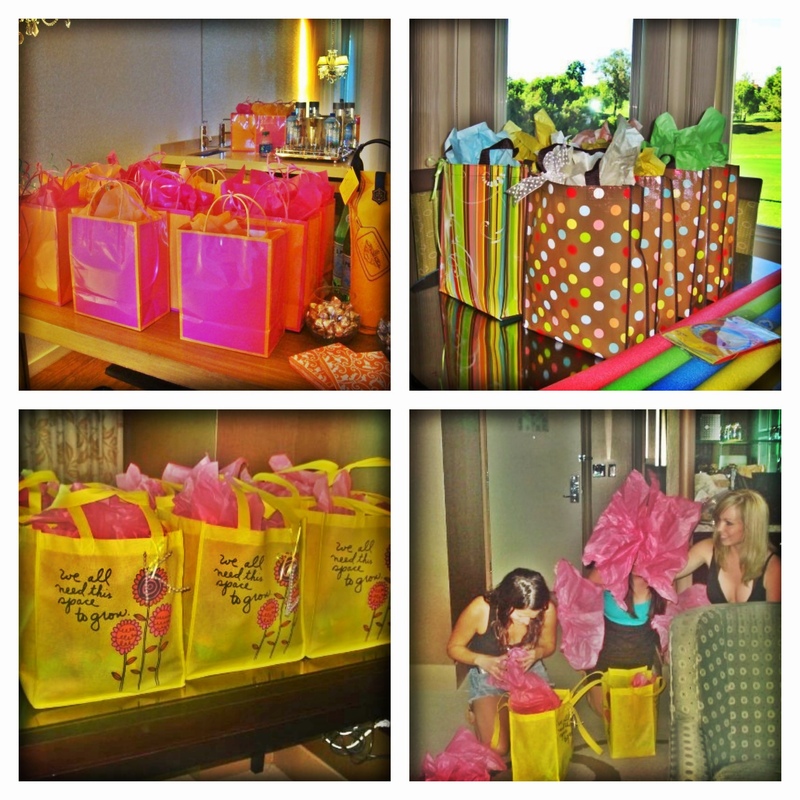 A new and common trend at Bachelorette Parties is throwing a Lingerie Shower for the Bride to Be. This is something that is a ton of fun and provides that little risqué touch that everyone is looking for at a Bachelorette Party but it also requires providing details which can be a bit blah. Now, providing the bride’s sizes doesn’t have to be one of those blah details! Include a little bra set or nighty with sizes in the appropriate areas to add a little something extra to your invitation while informing your guests of your bride’s sizes! 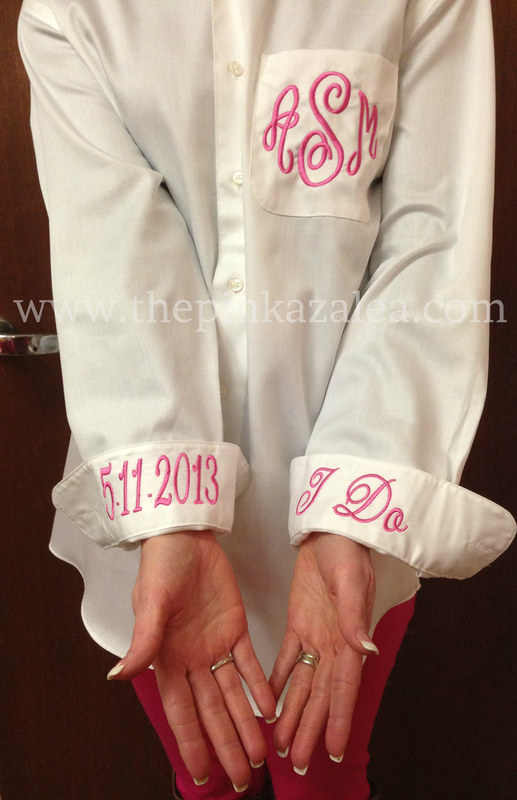 We’re having a total Bridal Moment over this Monogrammed Wedding Day Shirt. This shirt will make for super cute “getting ready” photos on the big day and has that classic look while still being trendy and cute (and comfy!) Let’s get serious, what bride doesn’t love seeing her soon to be initials at every turn?! A Rolling Stone Gathers No Moss – So Move! Celebrating the bride to be doesn’t mean having to stay in one place all weekend. Put together teams and send your girls out on a Scavenger Hunt. Get ultra creative with rhymes and fancy wording or keep it simple but just make it fun! There is no limit to the possibilities with an activity like this. I’ve even participated in a Scavenger Hunt that took place on a Cruise ship – wherever you are, move around! Presents! They’re not just for the Bride. Of course a Bachelorette Party is the time to spoil your Bride but a banging Bachelorette Party doesn’t restrict the present receiving to just the Bride. SWAG BAGS! It has become customary (and totally loved by those attending) to give a little something to the girls who attend the Bachelorette Party. But what?! Swag bags come filled with lots of expensive surprises or just a few sweet treats. It doesn’t matter how much you spend on it, just that you’re giving a little love to the girls who are showing up to shower the bride to be with love and support during her final fling before the ring! Check out our Swag Spotlight for some ideas! Spending the Bachelorette Weekend on a Sandy Beach? 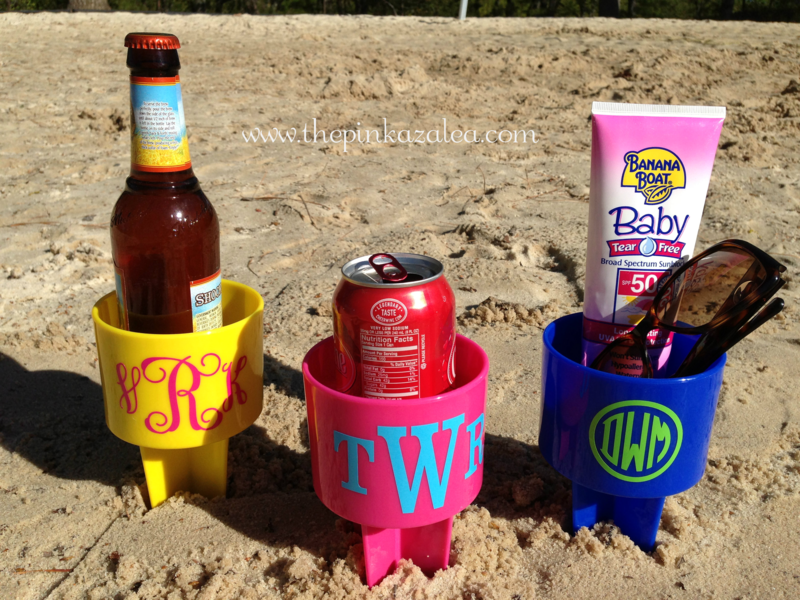 Fill your swag bags with these Monogrammed Spiker Beverage Holders by Pink Azalea. Personalization and clean drinks for only $14.